May 18, 2017 – Mohegan Sun announced today the opening of its renovated Sun Terrace Pool and introduced the resort’s first outdoor food and drink experience at the Bean and Vine Terrace. Resort guests and visitors are invited to embrace summertime at one of the East Coast’s premiere destinations with the Sun Terrace Pool’s enhanced amenities and contemporary updates, including brand new cabanas and pool furniture. Capturing the essence of summer, Mohegan Sun unveiled the new Bean and Vine Terrace, its first al fresco casual dining spot, featuring all day menu options ranging from hand-crafted coffee and breakfast specialties to sommelier-selected wines and seasonal small bites for sharing. The new cabanas are available starting Saturday, May 27, and the Bean and Vine Terrace opens to the public on Thursday, May 25. Guests can experience the ultimate in comfort and relaxation in the new cabanas at the Sun Terrace Pool, which offers the ideal warm-weather escape amidst Mohegan Sun’s beautiful resort setting, located on the third floor of the Sky Tower. The new pool cabanas feature a cool outdoor space for hot summer days amidst plush pillows and soothing colors – perfect to relax with a summer book or create an outdoor entertainment lounge for friends and family. Each cabana comfortably seats ten people, comes with a television, mini-refrigerator and towels, and features sturdy shutters around the perimeter providing both sun protection and privacy for guests. Beginning this summer, daily cabana reservations are available for $400 Monday through Friday, $600 on Saturday and $500 on Sunday from 9:00 a.m. to 5:00 p.m., and guests receive a complimentary $100 food and beverage credit when they book. In the evenings, cabanas can be reserved between the hours of 6:00 p.m. and 10:00 p.m. for a lower rate of $250 Monday through Thursday, $350 Friday and Saturday, and $250 on Sunday, with a $50food and beverage credit. Guests are encouraged to place their cabana reservation through Mohegan Sun’s concierge (Ext. 2-1230) for both future and day of bookings, with a 24-hour cancellation policy. The outside Sun Terrace Pool is open from Memorial Day through Labor Day, weather permitting. The Bean and Vine Café & Wine Bar, located in Mohegan Sun’s recently opened Earth Tower, will launch outdoor food and drink service on the new Bean and Vine Terrace, beginning Thursday, May 25. The first al fresco casual grill spot at the resort will seat up to 120 guests on a contemporary designed patio matching the indoor restaurant’s modern style, where guests are invited to enjoy small bites at the Bean and Vine Terrace Thursdays through Saturdays. The Bean and Vine Terrace menu features shared plates such as chips and guacamole with salsa, a Mediterranean hummus platter, hot poke bowls with guests’ choice of beef tenderloin, chicken or shrimp, and grilled chicken, beef or shrimp skewers served with a summer salad and naan triangles. The restaurant will also offer $7cocktails and Moet champagne by the glass, as well as outdoor entertainment on Thursday nights as part of Mohegan Sun’s annual Hot Summer Fun celebration, which kicks off in June. These new features are part of Mohegan Sun’s multi-million dollar revamp initiated last year. The project includes several stages of renovations for the property’s original 1,200-room Sky Tower, and opening of the brand new Earth Tower last fall. 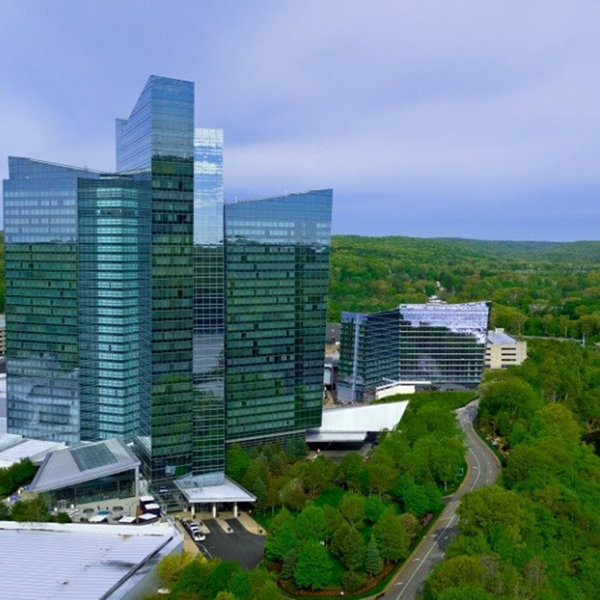 The Earth Tower brought 400 hotel rooms to Mohegan Sun’s riverfront property, featuring the full-service Mandara Spa along with a fitness center, pool, a fire pit lounge outside on the Earth Tower Terrace and now the newly introduced Bean and Vine Terrace. To learn more about the all-encompassing resort property in Uncasville, Connecticut and experience the Sun Terrace Pool and Earth Tower Terrace this summer, visit Mohegan Sun! Owned by the Mohegan Tribal Gaming Authority, Mohegan Sun is one of the largest, most spectacular entertainment, gaming, dining and shopping destinations in the United States. Situated on 185 acres along the Thames River in scenic southeastern Connecticut, Mohegan Sun is home to three unique casinos, 1,600 deluxe hotel rooms, 2 world-class spas, a golf course, over 80 shops, restaurants and bars as well as three award-winning entertainment venues including a 10,000-seat Arena. Mohegan Sun is within easy access of New York, Boston, Hartford and Providence and located 15 minutes from the museums, antique shops and waterfront of Mystic Country. More information is available by calling 1.888.226.7711 or visiting mohegansun.com. Connect with us on Facebook, follow us on Twitter and Instagram @mohegansun, view us on YouTube and find us on Snapchat at username MoheganSun.